Looking to implement a volunteer perk at your organization? Paid volunteer days are becoming increasingly popular as a perk especially amongst younger people that are entering the workforce for the first time. And, according to a Deloitte survey, 89% of employees believe that companies who sponsor volunteer activities offer a better overall working environment than those who do not. The idea of giving something back to the local community or supporting a cause which really means something to people is naturally appealing. There’s also plenty of research and data to suggest that successful employee volunteering programs increase engagement and overall productivity. Meaning, the business case for this perk is solid. At Reward Gateway, our people are entitled to three days of paid volunteering leave throughout each year. They can spend their time volunteering or fundraising for a charity of their own choice, and it’s managed through our centralized HR system which means measuring employee take-up is easy. Like most businesses though, our employees are busy making products, supporting users, delighting customers and winning business. So while we know that most of our people really value our volunteering perk, the take up in recent years has been low. In fact, in 2018 only 17.5 days of volunteering were taken throughout the business... for the whole year! While it would be great to say, “We want every single employee to use all of their volunteering days.” This is, unfortunately, unrealistic. Even with our own highly engaged workforce, we still weren’t seeing a huge drive from people to volunteer. I recommend setting a realistic goal which you can measure. Say, having 25% engagement with volunteering days after six months. Not only will you find this more manageable, but there’ll be less pressure on employees to take their days and they may well be more inclined to do so. Another key aspect to look at is what impact volunteering achieves in your local or wider community. I’ve found that the most widely participated volunteering days at Reward Gateway are those which relate more closely with our mission to make the world a better place to work. This was made blatantly obvious to me when we spent a day at Downview Prison with Working Chance – a charity who help women with convictions rebuild the skills needed to find employment after being released. We had so many RGers who wanted to take part in this that we unfortunately had to turn people away! I now know the type of volunteer work which will resonate with my colleagues and encourage further use of the volunteering perk. I’m not talking Olympic gold medalists, but you will need to have people in your business who are willing to champion the volunteering perk in your organization. This is even more important in larger businesses where you can’t reach as many people if you’re the only champion. We’ve got a named individual in each of our offices across the globe to be our Volunteering Champions. And I’m one of them – which might come as no surprise, since I’m writing this post. As I’m sure you’re aware, the best people for this role are those with enthusiasm and those who already have a bit of influence in the business – whether this is a line manager or someone who embodies your culture and is on strong social terms with others. It will also help if they have a few charitable causes which they hold close to their heart and can passionately influence others to join them. Once you have your champions, it’s important to keep the rest of the business updated on what they’re doing. This has two benefits. First, it shows employees that the perk is a tangible one which is being used. Second, it gives those who have no charitable affiliations inspiration on where and how they can get involved. We keep people updated through blog posts and videos on ‘boom!’ – our own employee engagement platform. You’ll be well aware that the biggest barriers to benefits are when they’re not easy to use. 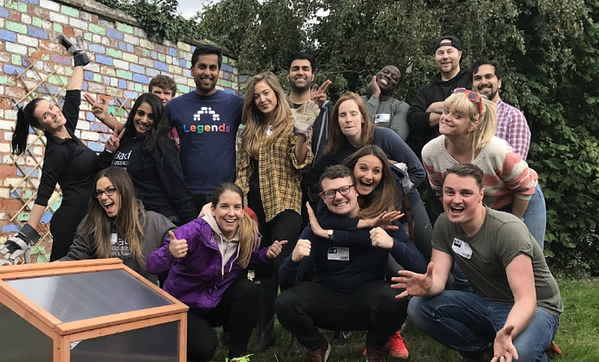 It’s great partnering with charities who need volunteers, but if employees don’t feel as though they can take the time away from their work and still achieve what the business wants from them, then they’re not likely to use it. Similarly, you can ensure employees have enough time to volunteer, but if no effort has been made to find charities which are ready and eager for their help then, again, employees are not likely to use it. Another balancing act is in ensuring employees remember that they’ve signed up for volunteering! Naturally, you can expect the odd drop out every now and then – whether from them changing their mind or unexpected work commitments popping up. Make sure they have plenty of time in advance to plan their workload as best as possible. Send the employee a calendar invite for the time they’ve requested to volunteer. Ask them to tell those they work with closely that they will be volunteering on a set date so they can be mindful of the commitment. Communicate it to the wider business, like we do on our employee engagement platform. This is also a great time to solicit feedback from your workforce – both employees who used their volunteering days and how the rest of the business perceive the benefit after seeing a colleague use it. It might also open doors for employees to suggest more charities for colleagues to help out at. 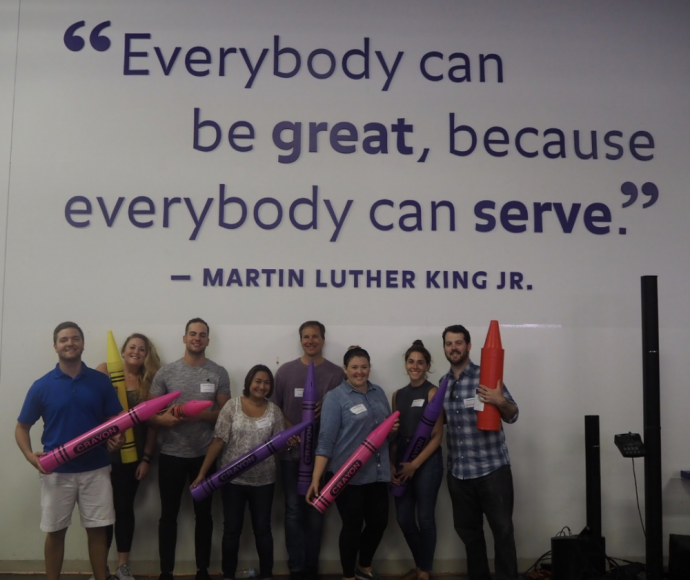 We decided to take action this year and followed these five steps to create some structure around our own employee volunteering perk. 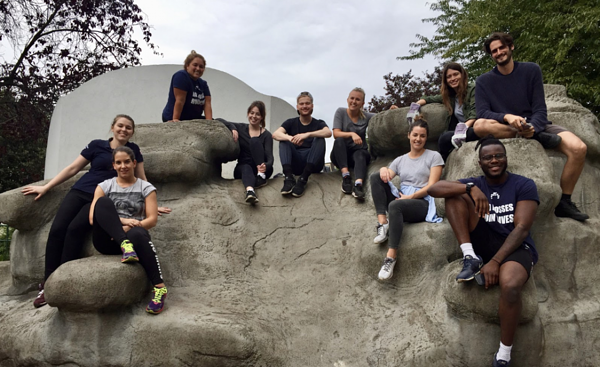 We wanted more staff to use their volunteering days and share their experiences because it affects the overall employee experience and it's always good to get out of the office and see the world from a different perspective. We saw a huge turnaround in results with a 370% increase in engagement – and we’re only a few months into the financial year! Rob is a content creator currently working on a project for RG Foundation in India.